G2A PAY is a global online payment gateway, assisting businesses of all sizes on their growth path by encouraging them to adopt a sell globally, pay locally approach. In business since 2015, G2A PAY supports transactions in more than 170 markets, through over 200 local and global payment methods and 80 currencies. Our G2A Wallet is trusted by over 15 million active account holders who already use our system. We aim to make online payments simple and elegant by providing a comprehensive suite of features needed for businesses of all sizes to offer a frictionless and localized checkout experience. No setup or hidden fees, fully compatible on desktop, mobile and tablet devices, with intuitive, fast digital onboarding, as well as round-the-clock support. 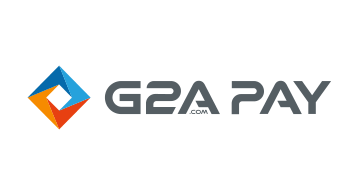 To learn more about how the G2A PAY can support your business, please visit https://pay.g2a.com/ or follow us on Twitter, LinkedIn and Facebook.